Talk radio personality Neal Boortz once declared, "Nothing good happens after midnight!" The former WSB morning radio host is right. Of course, he was talking about everything from drunk driving crashes to muggings and murders. In a big city like Atlanta there is always bad news happening on the streets sometime after midnight. When it comes to crime avoidance, there are a number of tricks that anyone can use to minimize their risk. 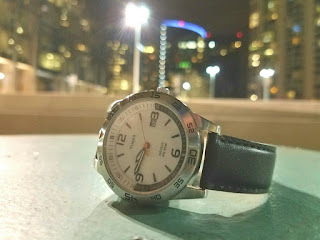 One of my favorite tricks is to wear a humble watch, a plain tee-shirt, nondescript jeans, and average tennis shoes. There is a time and a place to wear a statement watch and show the world your social status. That time and place is not a big American city at night time. That's why I typically reach for a Timex before going out at night. 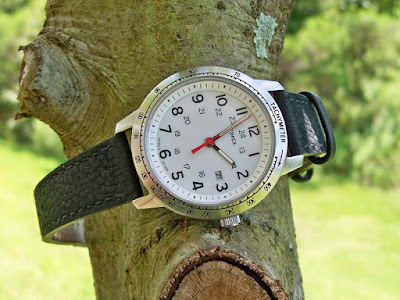 Watches like my Timex Elevated Classic and my Timex Weekender are easy to read at night and they have Timex Indiglo lighting so that I can always know the time. At less than $60, these watches don't attract unwanted attention and they don't make me look like a more attractive target for criminals. When you need a watch that tells time, looks good, but isn't ostentatious, a good Timex fits the bill perfectly.